The repair department at Nottelmann Music Co. is well known for its high quality workmanship and competitive prices. Using time tested methods along with state of the art technology, the repair staff at Nottelmann Music Co. can keep your instrument in optimal playing condition whether you are a beginner or a seasoned professional. 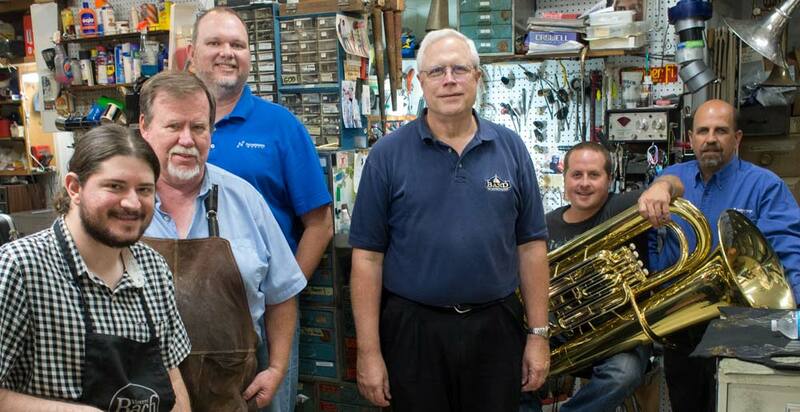 Why choose Nottelmann Music for your instrument repair? Featuring a 90 gallon ultrasonic cleaner, the repair department at Nottelmann Music Co. is well equipped to tackle just about any job sent its way. Our repair staff has well over 200 years of combined experience and a repair technician is on site at our Lemay Ferry location during all operating hours. We always offer free estimates and can even pick up student instruments at one of the many local schools that we visit on a weekly basis. If you need a minor adjustment, full overhaul, or anything in between, come see why countless students, professionals, and band directors entrust Nottelmann Music Co. with the service of their instruments.